National Grid’s Future Energy Scenarios: Cui Bono? National Grid’s recently published Future Energy Scenarios, 2017, is in essence an examination of its own prospects in a period of policy driven sectoral transformation. However turbulent the future appears to be for generators, and however costly for consumers, shareholders in National Grid can sleep easy at night. Things will be fine, for them at least. The UK’s National Grid has been in the news rather often over the last few days. It’s current chief executive, Mr Pettigrew, has attracted adverse comment on his salary (£4.6m per year) and London moving allowance (£500,000), and it seems that National Grid may, in company with other utilities, have come under a thankfully unsuccessful cyber-attack on the day of the election. All this is rather overshadowing the publication of this year’s Future Energy Scenarios, and what comment there has been tends to focus on predictions of system stress if electric vehicles are allowed to grow in an unmanaged fashion. That is in itself interesting, but the larger story of which it is a part, namely National Grid’s growing importance, indeed market power, is more interesting still. However, this cannot be taken quite at face value. National Grid, in spite of its name, is not an “impartial enabler”; it is a shareholder-owned company with a regulated asset base and income stream. In other words it is deeply interested party, and nothing in the Future Energy Scenarios, which is to my jaundiced eye rather obviously a company risk assessment, leads one to think it is anything else. Indeed, National Grid is the only part of the future system that appears to have a full-time job. Consider the predictions of peak load, which may rise to about 85 GW in 2050, up from about 60 GW at present, and those for the minimum load on the transmission network, which will fall to “very low” levels (presumably < 10 GW, compared to about 20 GW at present). The total generating fleet serving this oddly shaped market will rise from about 100 GW at present to about 180 GW in 2050. Thus, even at peak load on the network, the UK would have a vast surplus, about 100 GW, of generation capacity. This capacity would have been very dearly bought, but would almost all of it be operating at low levels of utilisation. That is plainly a recipe for low productivity, and very high prices to consumers. Transmission assets would also be relatively under utilised, while National Grid itself would be extremely busy managing this extraordinary fleet and demand pattern to provide a reliable electricity supply. Alongside this, and perhaps the most remarkable aspect of the FES, is the emphasis placed on the need created by climate change objectives to reduce the burning of natural gas for home heating and cooking. This is a major undertaking, and arguably more counter-economic even than the current proposal to transform the electricity supply. Roughly 80% of the UK’s 26 million households are connected to the natural gas grid, with a total of 22 million gas boilers (FES, p. 32–33). 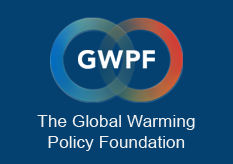 The FES proposes that in the “2 Degrees” scenario (the new name for the scenario formerly known as “Gone Green”), this number will have fallen to 7 million in 2050, with the balance and the additional 4 million homes expected in that year predominantly supplied by Heat Pumps, mostly Air Source Heat Pumps (ASHPs). This is clearly a tall order, and National Grid acknowledges that it will require “Incentives to drive […] installation”, in other words it will require legislation and subsidies. Thus, the electricity system envisaged for 2050 would be distorted by subsidies on both the production and the consumption sides. The 185 GW of low productivity generation capacity will be largely paid to exist, the funds being raised from higher electricity prices, while domestic consumers will be bribed to use electric heating systems, and almost certainly bribed with funds taken from their own electricity bills. This is not an attractive future, except of course for National Grid, who will find its falling revenues from the gas network replaced and probably more than replaced with revenues from the electricity system. Indeed, there can be no doubt that one of the few messages emerging clearly from the FES document is that National Grid’s future is safe. The scenario analysis piles uncertainty upon uncertainty, and National Grid obviously does not know what is going to happen in 2030, much less 2050, but it does not need to know. As a company responsible for both the electricity and the gas systems it has an inbuilt hedge, and whether it has to deliver climate policy, in close collaboration with government, or whether it is allowed to operate the networks in a more liberal environment, it will be able to prosper. But that is somewhat misleading: National Grid itself will not shrink, indeed it will have to grow both in terms of its asset base and its income stream to deal with the changed conditions on the system. The energy sector is not becoming more diverse in any simple sense; it is shifting from a state in which there were a small number, but a number of large companies to a state in which there will be a single regulated, policy-delivering-Super-Giant, the System Operator, and many smaller and much less powerful companies. The Big Six will have been superseded by The Very Big ONE.